When Petunia first arrived at Best Friends, she was terrified and spent most of her time hiding. After several weeks, she began to relax a little and would let people pet her for short periods of time. She's still very cautious with people. She doesn't bother much with other cats. She has a relationship with her more confident sister, Anita. We believe they were born in 2016; they were rescued locally as strays. Petunia has a weepy eye and we try to put warm compresses on it, but she doesn't always tolerate that. 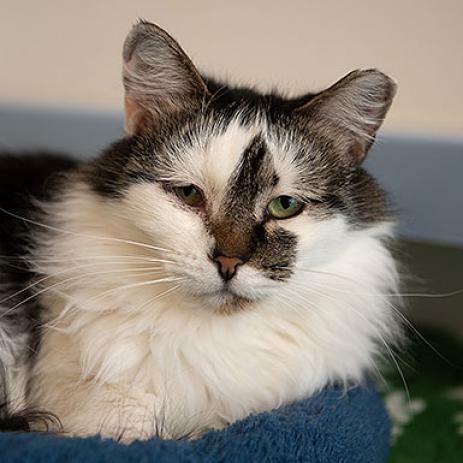 Petunia is looking for someone who has the time and patience to allow her to blossom.